Whether you’re shopping for fresh produce, exotic goods from around the world, or Alaskan souvenirs, you’ll find it at the Anchorage Market. 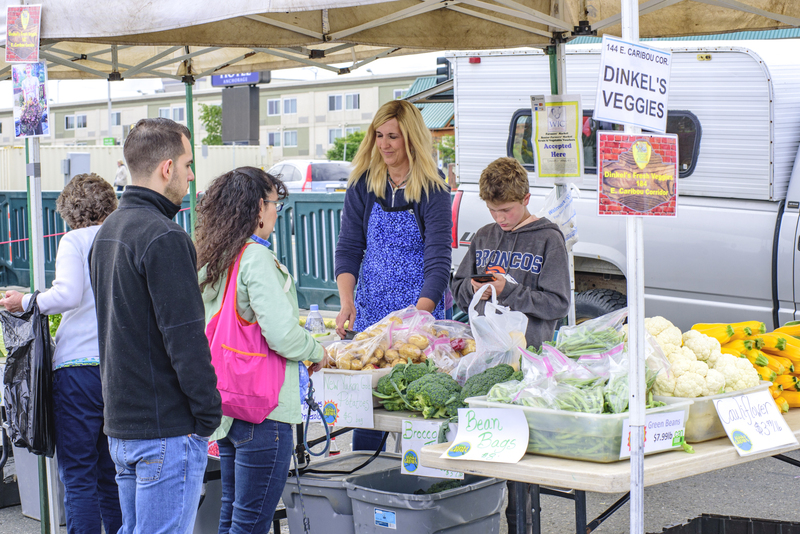 The Anchorage Market is located in the heart of downtown and is Alaska’s leading outdoor market. It consists of over 300 vendors on 2 acres of downtown Anchorage. The Anchorage Market & Festival is a great place to bring family, friends and visiting tourists. It offers free and lively entertainment, great food, and a fun and safe atmosphere! Anchorage Market strives to provide the Anchorage community and its visitors with a summer weekly attraction featuring a large variety of Alaskan arts and crafts, food and imports at reasonable prices; enhance the quality of life of Anchorage residents, visitors and vendors; and enhance the reputation of Anchorage by creating an atmosphere of a carnival or fair, designed for the enjoyment of adults and children of all ages (“the Intended Atmosphere and Use”); to provide Vendors with a low cost, premier location which affords them an opportunity to showcase and display their products to a broad base of consumers and potential consumers, both local and long distance; and, to make productive use on weekends of Anchorage’s downtown parking facilities. This mission statement (The “Anchorage Market Mission”) and the Intended Atmosphere and Use are the primary purposes of Anchorage Market. In the interest of the Market and its participants, any other purpose, advantage, or benefit is secondary and is subordinate to the primary purposes. 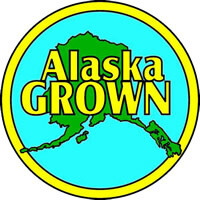 The Eat Local section is located in the Alaska Grown area, in the Southeastern corner. In the Eat Local section of the market you’ll find Alaska Grown vegetables & fruits; Alaska Grown meat: beef, pork, poultry, elk, bison; fish and seafood; smoked and canned seafood; fresh fudge, oven rolls, cakes, cookies and donuts, and more! Many businesses start at the Downtown Anchorage Market & Festival. Put YOUR dollar back into YOUR economy by doing your shopping at the market! Fulfill your needs and desires for gourmet food, hand-stitched clothing, fresh produce, jewelry, wood carvings, paintings, photographs, ulus, and more. 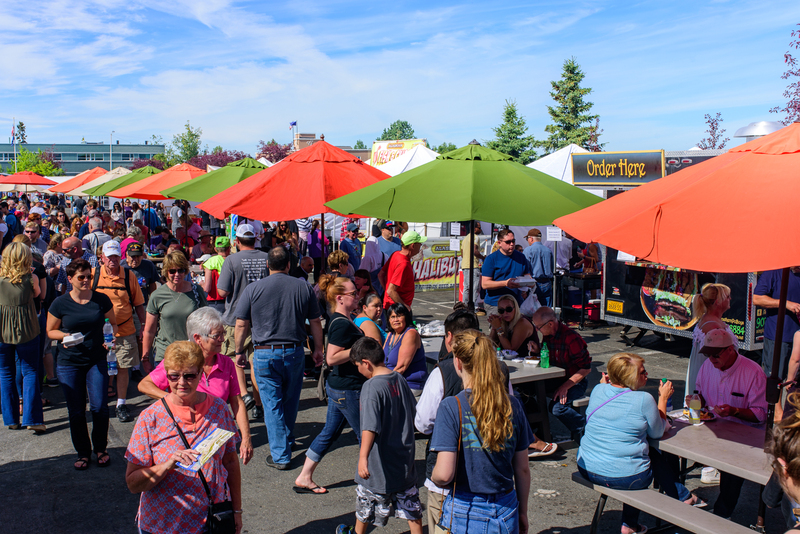 Around since 1992, 2019 will be the 28th season of the Anchorage Market. Take a moment to read about the development of the market, and how it went from having two dozen vendors to three hundred. Consider self-employment and the opportunity to work outdoors with a schedule that is always convenient for you. Sounds perfect, right? Becoming a market vendor may seem like a relatively easy goal to accomplish but it involves diligence and patience. Start by filling out the appropriate paperwork and find yourself well on the way to making money! Leasing a table under the Alaska Craft Tents or the Thin N’ That Tent makes participating at the Anchorage Market fun and easy! Forget about buying a tent, tables or chairs; or dealing with the hassle of hauling, setting-up and breaking down your equipment. 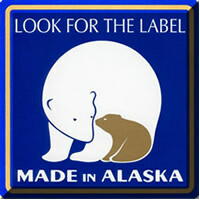 We’ll do it all for you; you just need to bring your Alaskan-made products and be ready to sell! Sundays are 1/2 price when reserving Saturday & Sunday at the same time! Anchorage area kids between the ages of 8 and 16 are invited to bring their used toys, surplus sports gear, Alaska Grown fruits & vegetables that they have grown; kid baked items, kid handcrafted items, fundraiser items such as candy, cookies, raffle tickets, event tickets and other items so long as the proceeds go to help Alaska kids, to our Kid’s Market. Anchorage Markets proud to support the performing arts community in Alaska. Performers are encouraged to utilize their appearance at the Anchorage Market to promote their art and upcoming shows – thousands of locals and tourists visit the market every weekend!